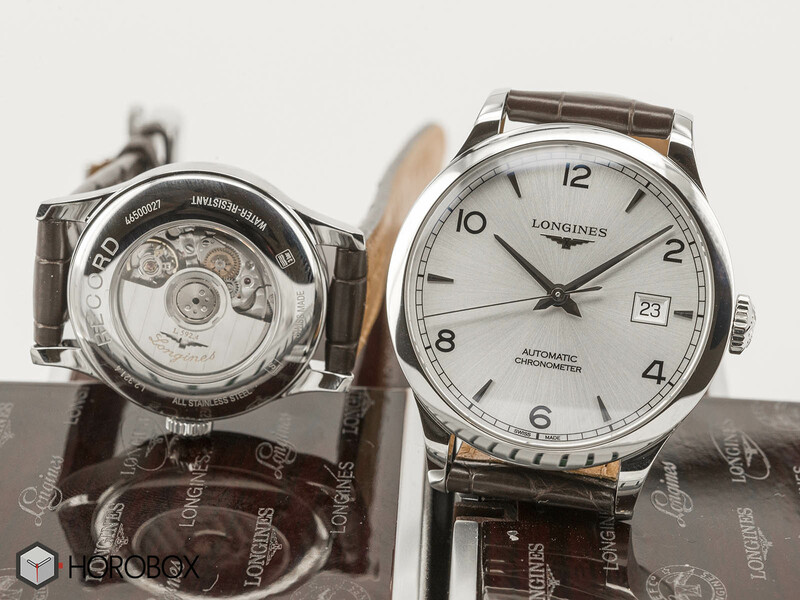 Celebrating its 185th anniversary, Longines announced the new Record collection. The novelties attract attention with their designs, COSC certified movements and relatively affordable prices. 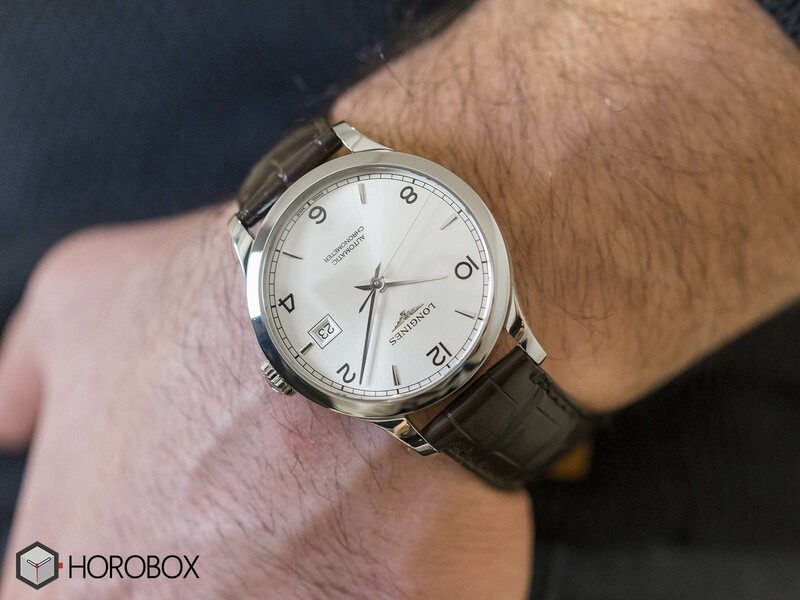 The timepieces in the new Record collection have similar features to a classic Longines model in terms of design, and in this sense it would be more accurate to talk about the movement before its aesthetic details. All movements are COSC certified for accuracy and sport silicon hairs springs as we are familiar with the current Swatch Group brands. By using the silicone hair spring, the movement has become less affected by magnetic fields and impacts. In total, 4 different sizes will be released on the market. In the Record collection, ladies’ models with the diameters 26mm and 30mm are powered by the Caliber Ref. 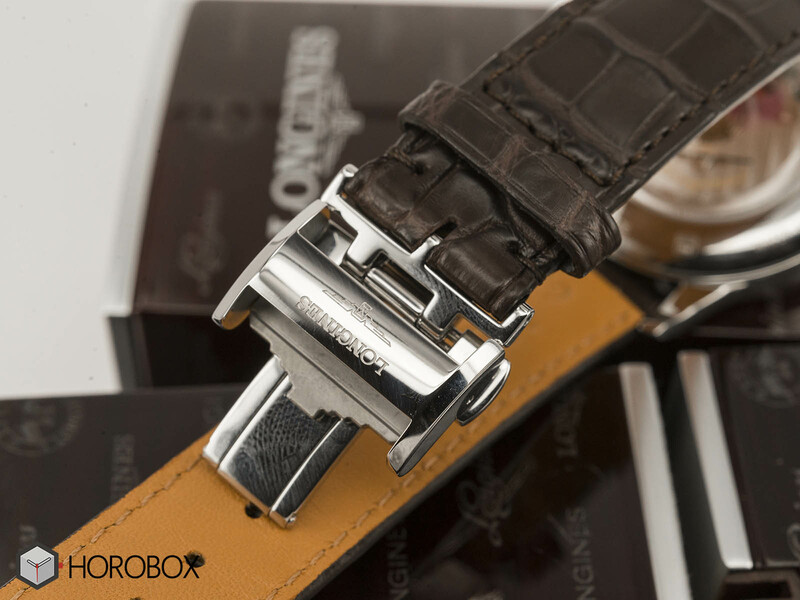 L888.4 while the men's models offered in 38,5mm and 40mm cases come with the Caliber Ref. L592.4. 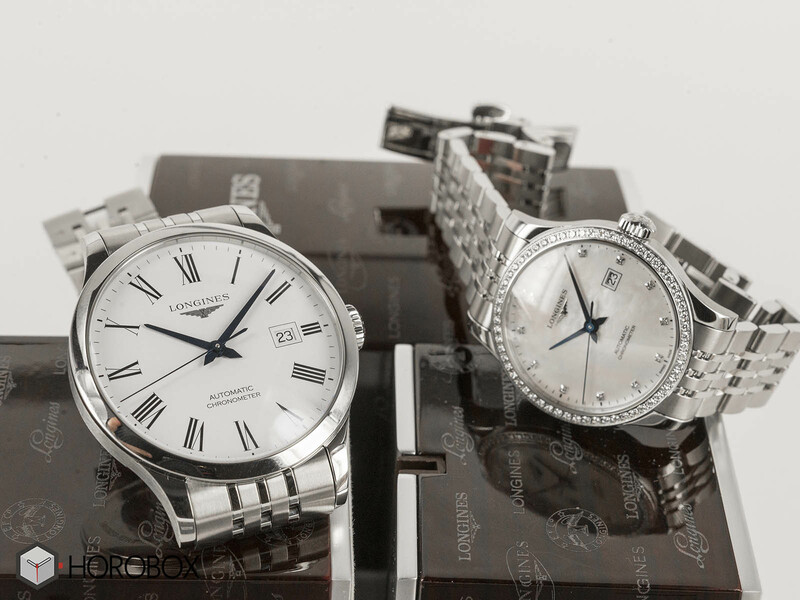 Ladies models offer 40 hours and men’s models offer 60 hours of power reserve when fully wound. Men's and women's models are made of stainless steel, and some women's models are decorated with diamonds. Water resistance value for all models is 30 meters. All models are offered in stainless steel cases with anti-glare coated scratch resistant sapphire crystals on the front face and display casebacks. 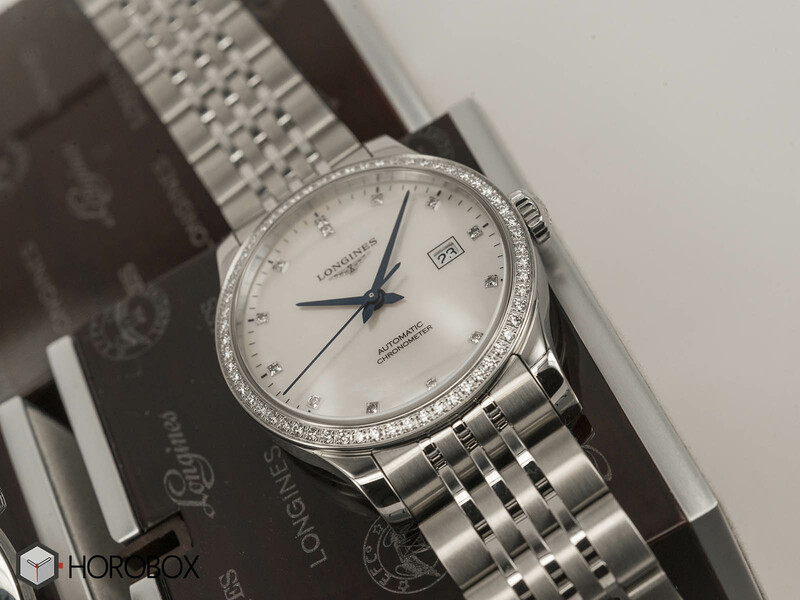 Some ladies’ models come with diamond bezel. All timepieces are 30M water resistant. 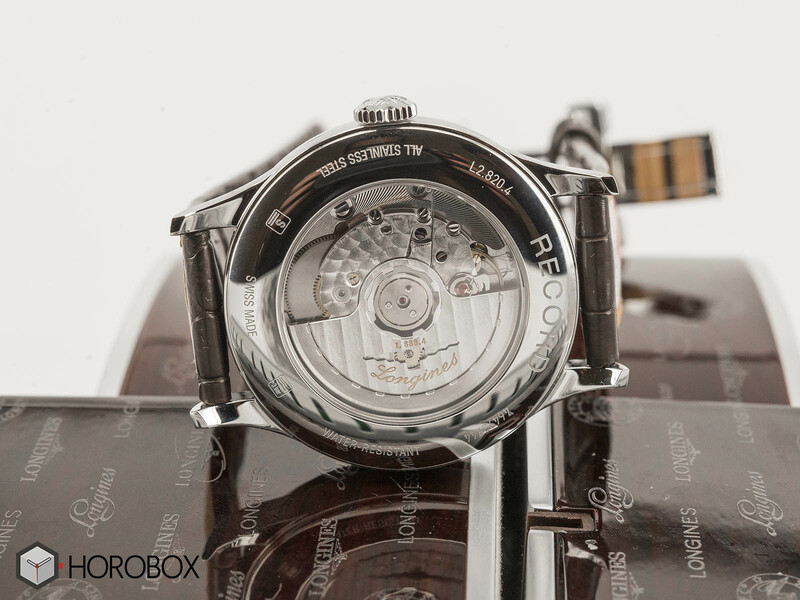 The version we have here features a silver grey dial with sun-ray pattern. The date display is located at 3 o’clock. Men’s collection has blue and black dial options. Ladies’ models are offered with black lacquer and mother of pearl dials. The models can be had with stainless steel bracelets or alligator straps secured with folding clasps. The new collection is up for being the brand’s new flagship with what its striking features. It seems Saint-Imier based brand had a good Baselworld experience this year. 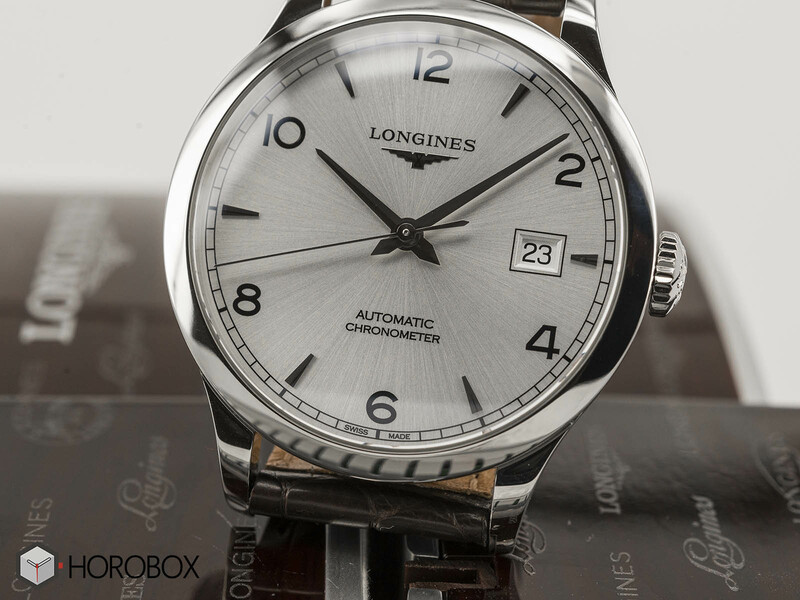 Longines showed that they care about their movements, with their silicon hairspring and V.H.P (very high precision) Quartz caliber, as well as visual details.